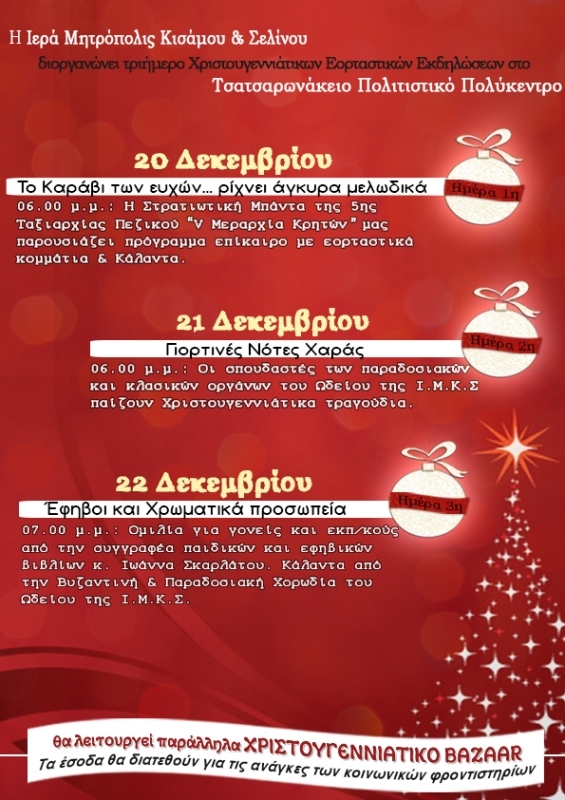 Christmas event “The ship of wishes … casts a melodic anchor”, with the military band of the 5th Division Cretans, who will play seasonal music and carols. “Teenagers and coloured faces”- Readings from the bible by the students children and teenagers, followed by carol singing. A Christmas bazaar will also be open alongside each event.